The story-based Bioshock Infinite DLC - Burial at Sea - was announced several months ago, but today the developers invite you to look at the first minutes of it. The video that contains five minutes of the actual add-on's gameplay appeared on the official game's channel a few hours ago. 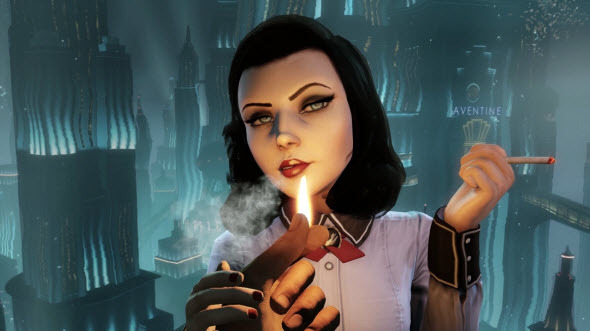 Burial at Sea DLC brings the main characters of the Bioshock Infinite game to Rapture - the famous underwater city from the first instalment in the Bioshock series. You will find the most beautiful era of Rapture - its prosperity. Moreover, the developers have redesigned the city using Bioshock Infinite engine, so it looks really magnificent. And if you have forgotten how wonderful Bioshock Infinite is, you can read our review. And the whole list of Bioshock Infinite DLCs is here.